නාඋයනේ අරියධම්ම මහා ස්වාමින් වහන්සේ කල ඇති ගාම්භීර දෙසනා බොහොමයක් දැනට සොයා ගන්නට නැත. මා සතුව ඇති දේශනා සියල්ල අනෙකුත් සැදැහැවත් ශ්‍රාවකයන්ගේ ප්‍රයෝජනය සඳහා අන්තරාජාලයෙහි ධර්ම භාණ්ඩාගාරයක ඇතුල්කරන ලද්දෙමි. එයින් ඔබට කැමති දේශනාවන් බා ගත කරගන්නට හෝ එතුලට ගොස් අසන්නටද පිළිවන. 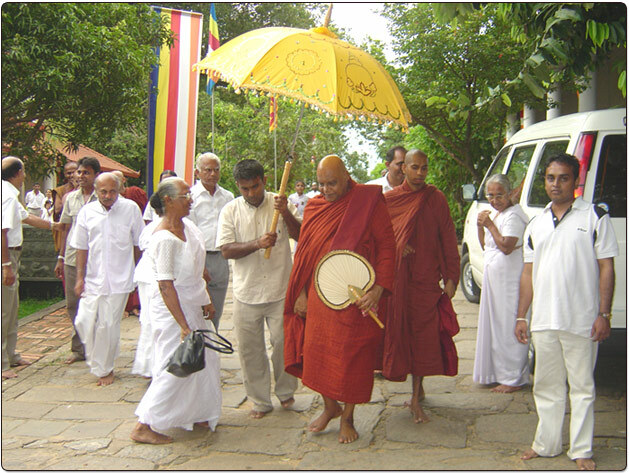 ඒ සඳහා පහත ඇති රුපය ක්ලික් කරන්න. ALL TALKS I HAD was reloaded to the Archive for easy downloading. Please click the “ARCHIVE” icon below to go to the free servers web page where you can listen on line or download several hunded talks.